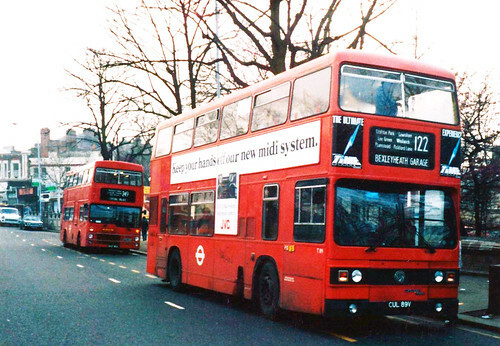 RTL type withdrawn in favour of RT type. 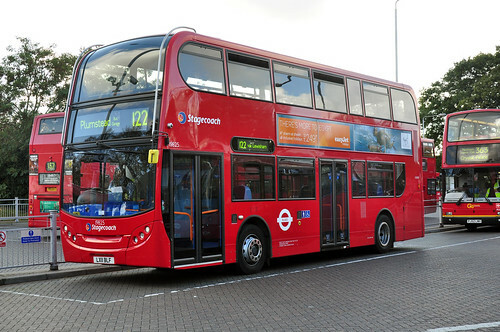 Mon-Sat extended from Bexleyheath to Slade Green Station. 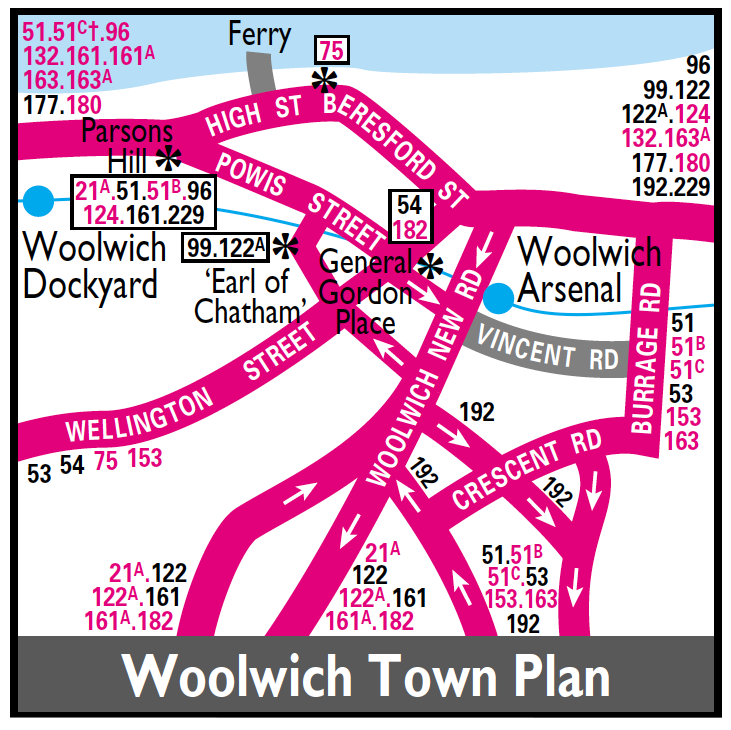 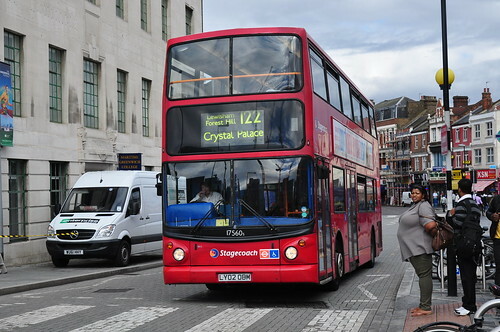 Daily extended from Woolwich to Crystal Palace via withdrawn 186. 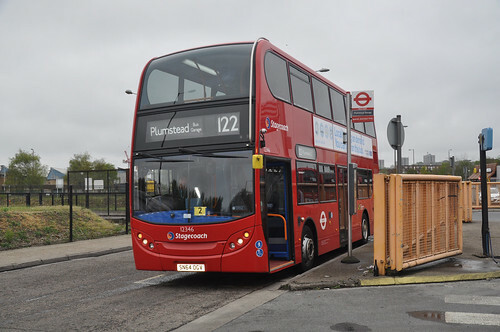 Mon-Fri withdrawn between Bexleyheath Garage and Slade Green - replaced by revised 132. 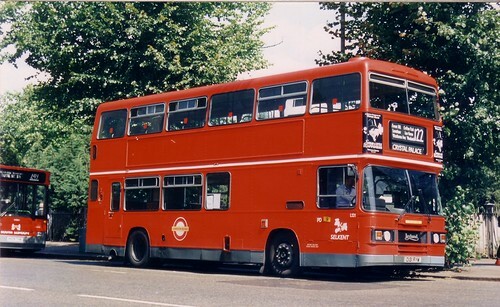 Converted to double deck door buses (Scania Metropolitan) type. 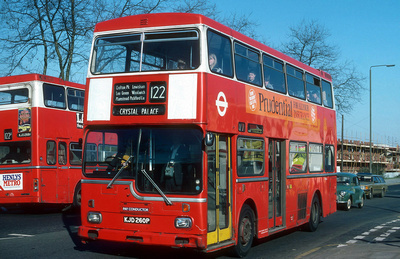 MD type withdrawn in favour of Leyland Titan. 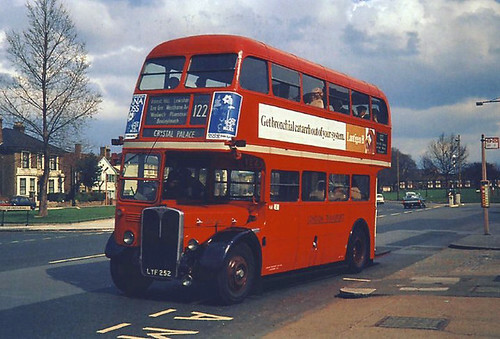 Bexleyheath allocation introduced on Mon-Sat although BX mainly plied between Bexleyheath and Woolwich except for a few early and late journeys which went through to Crystal Palace. 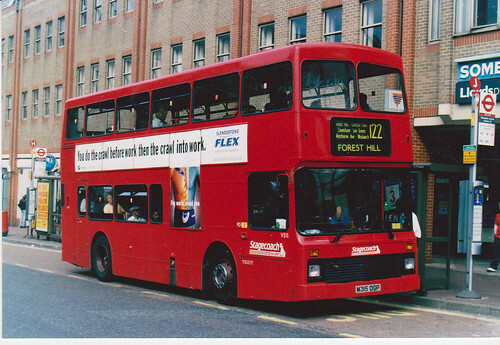 The Mon-Fri daytime service was run in two sections BX - Forest Hill and PD to Crystal Palace. 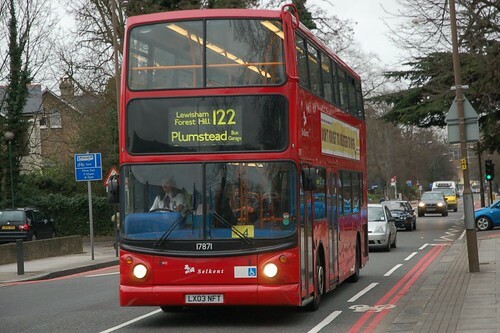 When this picture was taken in 2010 on a stormy day at Crystal Palace the blinds had been reduced to two line - the running number plate was in front windscreen and the "TA" had been changed t0 "17"